I’m already on record as saying that I don’t know why SL is the natural habitat for some people and not for others. I don’t think that my introduction to SL was the common experience but I could be mistaken. 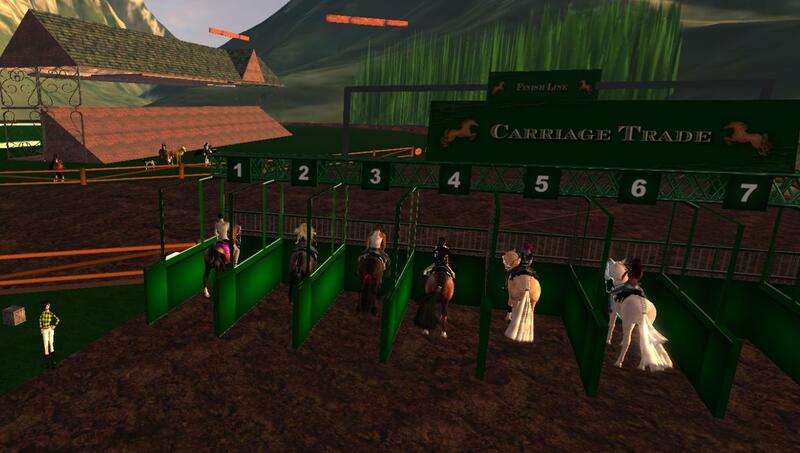 I do, however, have quite a bit of experience introducing people to virtual worlds for their first time. It was part of my job for two years. What I observed during that time was that, to paraphrase Shakespeare, some people are born to virtual worlds, some people acclimate to virtual worlds, and some people have virtual worlds thrust upon them. 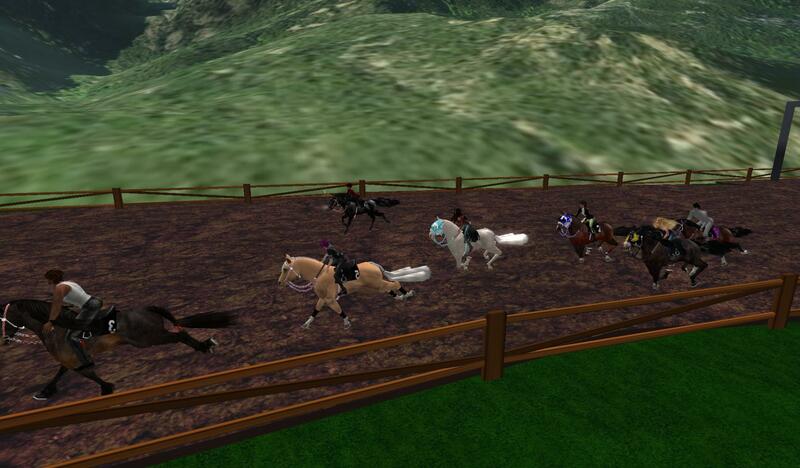 I had to explain virtual worlds to many people as I demo’d the collaboration tool we were prototyping. Some people were fascinated by our avatars, the office, flying, the animations and all the rest. Those people began asking questions all about the environment before we ever got to the prototype. They were strong candidates for living in a VW. 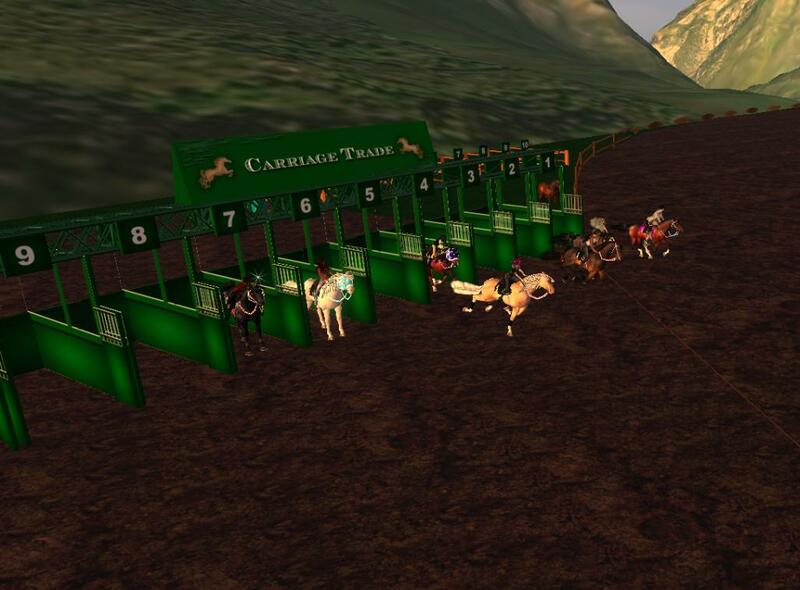 Others accepted the environment, grasped that it had potential, but wanted to see the business application and learn why we’d built it in Opensim. Then there were the folks who said all of this is extraneous, creating a physical representation of data and moving it about adds nothing for me, you could do the same in 2D. 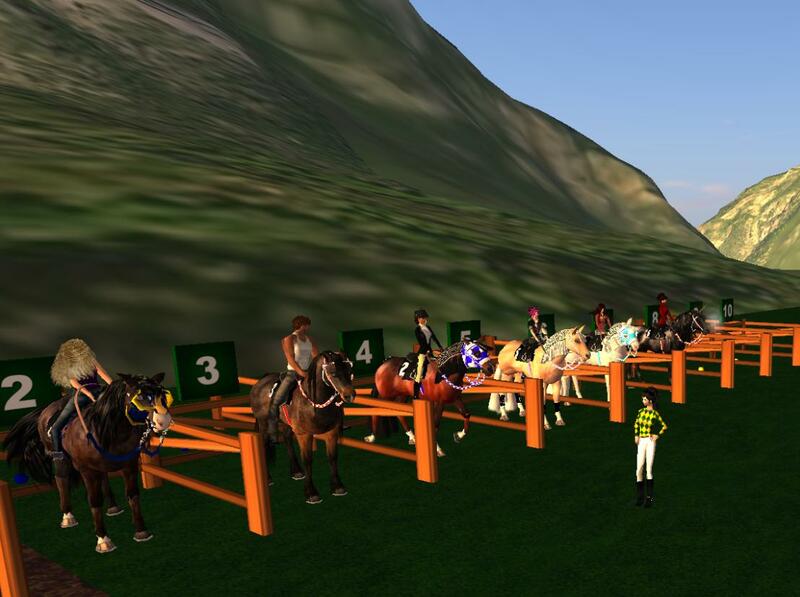 When I was working as a greeter for conferences and meetings held in the virtual worlds some people came in grumbling about the stupidity and waste of this kind of meeting, meetings should be in person or on the phone. Nothing we could do for them improved their experience. Others came in a bit confused as to navigation but once we explained, they went on their way, perfectly content in their default avatar. Then there were the folks who came in, saw themselves and said – OMG! I need to look more like ME! By “me”, sometimes they meant they wanted to look like their physical self and sometimes they meant “make me look better than this default avatar”. *grin* The other greeters tended to send those folks to me for help. /me tosses hair, strikes a new pose from my AO and rezzes some custom tees. The hardware issue. By far, this was the biggest complaint for the business users. 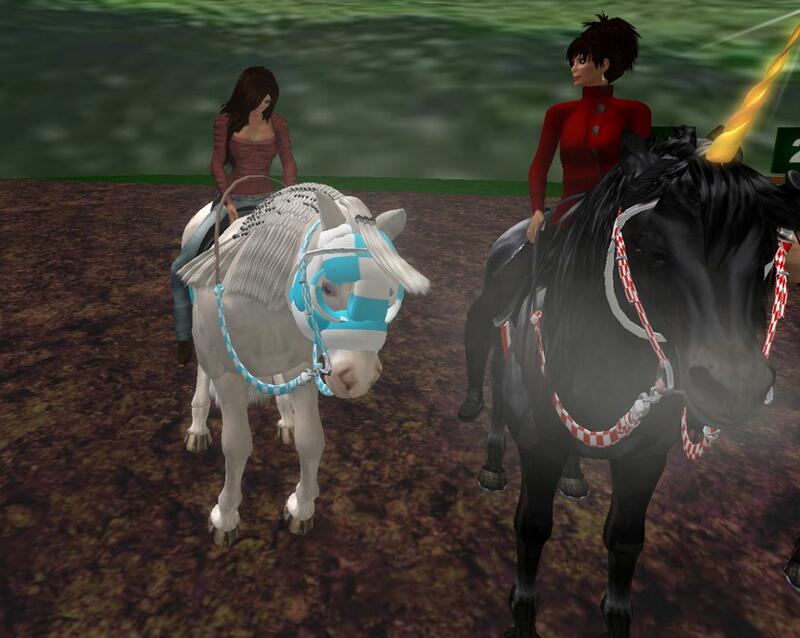 Their machines were underpowered to rez SL and Opensim environments. There were too many settings and issues with getting their equipment to run SL, to work with voice, to have other applications (e.g. mail) open while they were also at the meeting. If you go back to my first posts on this blog, I think nearly the entire month of July mentioned problems with my laptop being able to run SL. Most things were gray, lag was awful, I crashed a lot. Last year when I got my new gorgeous Alienware gaming computer, there were problems with crashing and I turned to SL support. LL took great delight in washing their hands telling me “oh hey, that setup is too good for our application”. Good thing the AW folk take pride in THEIR product and took it personally until they fixed the problem. Customizing the avatar. This was another problem for business users. Many of them wanted to look like themselves. Others of them simply wanted to look more realistic in a positive direction (they LOVED losing weight, growing younger, growing hair *grin*). 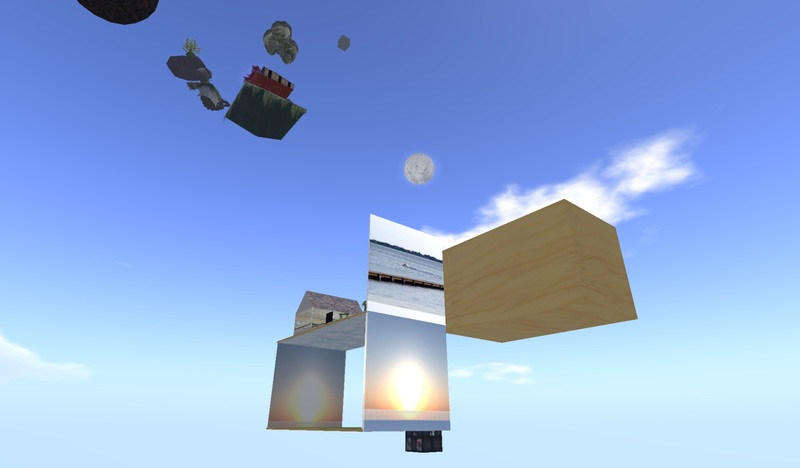 If there were some simple, inexpensive, quick way to take a photo of the organic being and turn it into a skin, that would have solved so many of the problems with the people who came inworld for meetings. I think a lot of that has been addressed by the range of avatars being offered to newcomers these days. A simple statement of What/How. 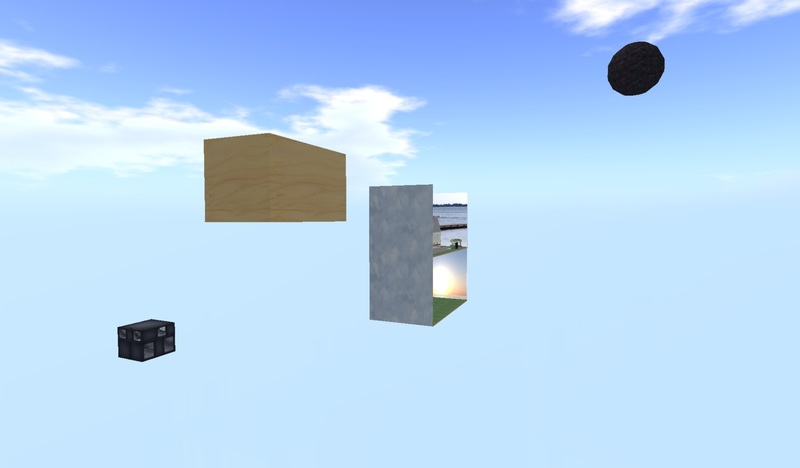 I came inworld and I didn’t know ANYTHING. I was only brave enough to try because I had encouragement from coworkers and my teenage son was helping me that first moment. But I didn’t know how to move my avatar, I didn’t know how to use a camera, I didn’t know what to expect (who or what I’d see), I didn’t understand the terminology – I knew NOTHING. For me – had there been some pop-up window telling me what was going to happen and what I should do when I rezzed, it would have eased so much anxiety. DO NOT tell me to go view a video or watch a tutorial. I am NOT going to do it. I happen to like words. Maybe for other people a VERY short video – 60 seconds or less, showing that initial rez, would be good. I rezzed into Orientation Island. Except it took forever, everything was gray (see hardware) and I didn’t know what I was supposed to do and why I couldn’t put on clothes. I was tp’d off OI within my first hour because I was having problems with my screen. Except I wasn’t. I don’t know if I ever blogged this, but the problem was that I’d walked into a bush. I hit something physical and was stuck in the bush. So I thought my screen settings were wrong. But I was stuck in a bush and had no idea what to do. I’m sure most people are not as ignorant as I was, but I’m willing to bet that many have similar issues if not quite as extreme. What worked for me? People. I loved meeting the people. I sat on the benches at NCI Fishermen’s Cove and listened and asked questions and observed. I made friends. Melissa took off to explore and shop. I still don’t care too much about exploring. It’s the people. Once I had friends and a home base, I began to explore more. I came for the social networking and I stayed for that, the live music and building. So what’s the answer? There is no “the” answer. I’m not sure who said this (maybe Crap Mariner in comments on someone else’s blog?) but it was something akin to “ask your current users why they are here, fix their biggest problems and they will bring in more users”. Update: This issue continued to rankle, especially after my friend and I exchanged screen shots showing that he did indeed have me clicked and I could not, in fact, see him in my friends list. I turned to my good friend Zha Ewry, not only one of the smartest people I know but one of the most determined. She and I clicked and unclicked, logged in, logged out and clicked some more. We managed to confuse v2.6 until it was assuring her that I could NOT see her logged in while it was informing me that she was indeed logged in. And the flip side too: she was telling me she was there and I couldn’t see her. So it is indeed SL that lies. Apparently v2 is NOT propagating the changes as quickly or as accurately as it should. Here is the word of warning to you: If you are a person who periodically unclicks people – SL may NOT be doing what you think. They may see you when you think you can work in undisturbed bliss and they may not see you when you think they can, and you wonder why they no longer greet you when you login. SL lies, we all know that. SL tells you someone is typing in the IM window when they are not. SL tells you someone is logged in when they are not. SL tells you that someone isn’t logged in when they are – or does it? I have a friend who IMs me to chat and ask for a tp. Except – according to MY friends list, he isn’t logged in. So I can’t send a taxi to someone who isn’t logged in. Yes, yes, yes, he insists – he is so, why can’t I see him? I say: perhaps you have me unclicked? No, no, no. And yet – suddenly I can see him. Unclicked. What a concept. It controls the permissions you give your friends. Friends can or cannot see when you are logged in, map where you are in world, access your rezzed inventory. If you have clicked those columns next to that friend’s name, they have that permission. I think that the default is that all perms are unclicked except the one that says “see when you are logged in” – that defaults to clicked –> permitted. I tried unclicking twice. The first time I was less than 6 months old and discovered someone had unclicked me. I don’t know WHY. She SHOULD have just unfriended me, given the depth of her emotion, I suppose. I didn’t even REALIZE that she’d unclicked me until we were standing near each other someplace and I thought – that’s odd, I don’t see her as being online. And so I learned about “unclick”. I unclicked HER for a few days and then thought – this is so stupid. *I* don’t care if she knows if *I* am logged on or not. *I* am not mad at her. This is childish. So I clicked her. The second and last time was a year ago. A friend and I were having a disagreement. I did not want to discuss it any more at the moment. 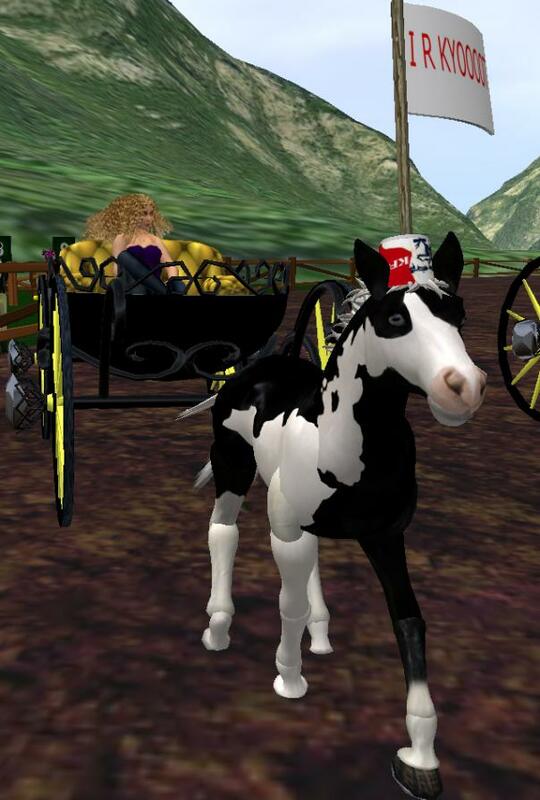 I suspected we’d both be inworld and I suspected that he’d want to continue it and I wanted to forget it for a bit and simply have fun inworld. So I unclicked him for the evening, fully intending to reclick in the next day or so. More fool me. I saw him logon. And then he IM’d me. “SL says that you are logged in” he typed. Sigh. So much for THAT strategy. Obviously he had his own method of checking logged on/off without relying on the friends list. He was a good friend so I clicked and we continued the discussion and ultimately resolved it. You want my opinion? Even if you don’t here it is. Unclicking is stupid, childish, and pointless. We all have a variety of ways to verify that someone is on or off without looking at the friends list. 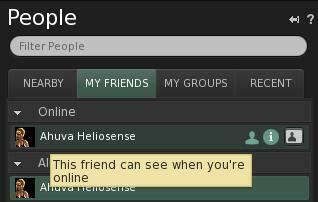 Remember the big brouhaha last year when Emerald viewer showed you overtly which of your friends had unclicked you? Remember how enraged and wounded unclicked people were? Either you are mature enough, reasonable enough, well-balanced enough to respond to an unwanted IM by saying “I’m sorry, I am not able to chat now” or you have no business being in SL. If indeed you ARE working, you could change your status. If you are working and need to be able to take IMs, we’re back to the “sorry- I can’t chat now”. In my opinion SL is for socialized civilized beings. Grow up. If it matters to me, I can find out if you are logged on. You want to unclick me? Fine. I find I no longer have very much I care to say to you.